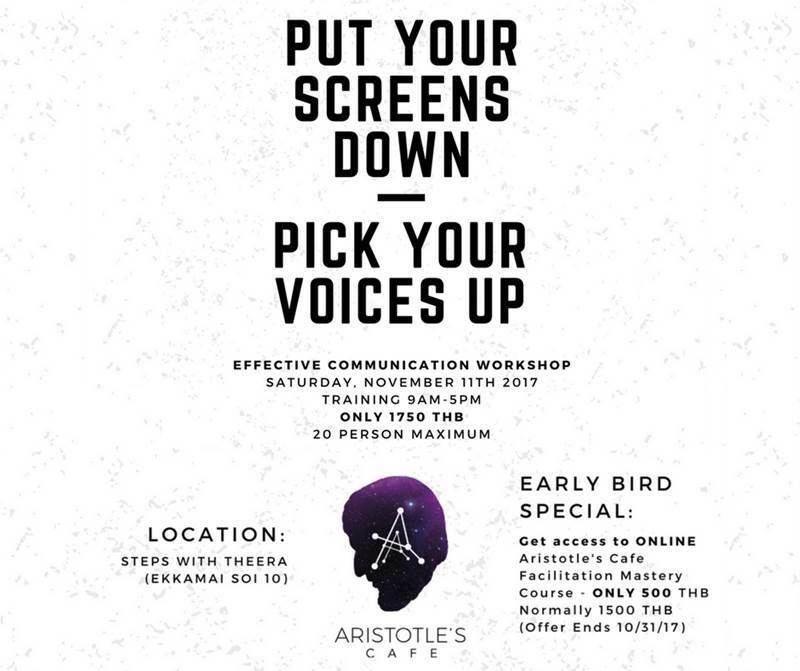 Our workshop will take you through the meaning of good communication by presenting its different components in a practical way. You will acquire communication skills and body language knowledge, which will make you able to communicate in an effective way and deliver clear messages. During this 1-Day workshop (Check out our Schedule), we will practice various techniques to develop your facilitation skills while improving your ability to read the people you are interacting with. You’ll be heard and respected whenever you speak, and whatever you speak about! For Community Leaders, Entrepreneurs, Professionals, and People Looking to Simply Communicate and be Heard. - Created from 12 years of leading discussions - I knowyour public speaking challenges. If you're interested don't wait - only 8 seats available for November 11th 2017. Sign up now and let us know what goal you want to achieve.